Legends of the Wu and Yi peoples – include the Fairy Couple (Tian Xian Pei). 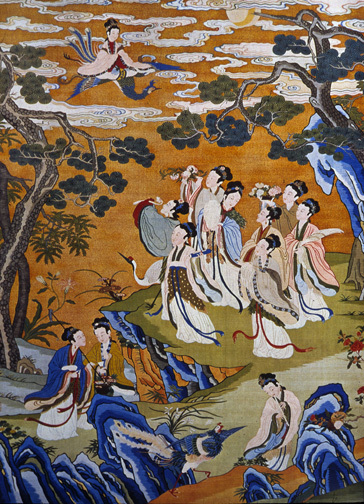 The seven daughters of the Jade Emperor travel to the mortal world. The youngest of the seventh fairy maiden Yunue was in search of her lost weaving equipment and the ” feather coat ” – without which she was unable to fly. Another version of story states that the seventh fairy’s flying ” feather coat ” was actually taken by a mortal named Dong Yong on purpose, advised by his cattle – which happened to be an exiled fairy as well and undercover the form of a normal old bull. During the staying the maiden falls in love with Dong Yong, a poor worker who had sold himself into servitude to pay for his father’s funeral. With help of the other fairies, the seventh fairy managed to weave ten pieces of brocade for Dong Yong to pay off his debt, shortening his indenture to 100 days. Before the couple can begin their life together, the Jade Emperor orders his daughters to return home, however kind enough to allow the couple reunite only once a year at the 七夕 (the 7th evening) – later known as the traditional Chinese Qixi Festival across the Milky Way. Alternatively, another version of the Chinese myth of the Cowherd and Weaver Girl, has it where one of the seven fairy sisters is taken as a wife by a cowherd who hid the seven sisters’ robes; she becomes his wife because he sees her naked, and not so much due to his taking her robe. The ancient Chinese astrologer named two of the observed far apart star 牛郎 (literally ‘shepherd man’) and 織女 (literally ‘weaving girl’) – nowadays recognized as Altair and Vega in memory of this story. Change was in the air. Around the same time, the Taiping Jing(Scripture of Great Peace) described “a world where all would be equal.” As Kristofer Schipper observes, “a similar hope drove the masses in search of the great mother goddess.” [Schipper: 2000, 40] Their movement was put down within the year, and courtly writers tried to tame and civilize the shamanic goddess. Her wild hair and tiger features receded, and were replaced by a lady in aristocratic robes, jeweled headdresses, and courtly ways. But cultural shifts never succeeded in subjugating the goddess. There exists a similar legend of The Weaver Fairy and the Buffalo Boy in Vietnam or “The Exiled Fairy” (aka THE LEGEND OF PRINCESS LIEU HANH). In Japan, the Fairy Couple story elements are broken up and exists as two separate myths – that of Tanabata and that of the Swan Maiden element which is a common myth in many parts of the world see Swan Maid and Hagoromo This is a common motif in folk tales across the world, though the animals vary. The Italian fairy tale “The Dove Girl” features a dove. 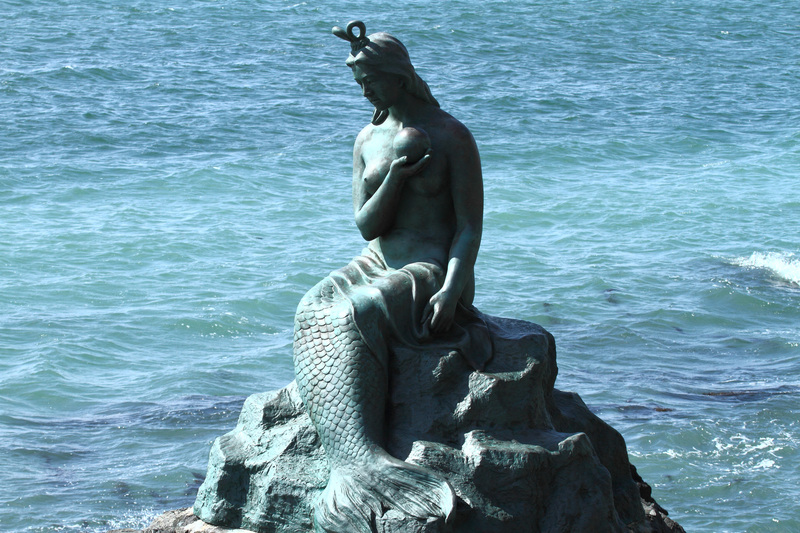 There are the Orcadian and Shetlandic selkies, that alternate between seal and human shape. A Croatian tale features a she-wolf. In Africa, the same motif is shown through buffalo maidens. In East Asia, it is also known featuring maidens who transform into various bird species. In Russian fairy-tales there are also several characters, connected with the Swan-maiden. 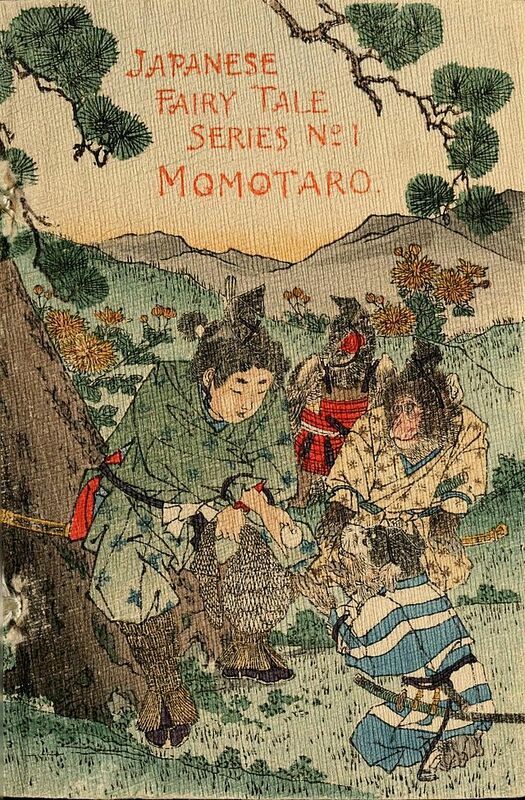 In the Japanese legend of Hagoromo, it is a heavenly spirit, or Tennin, whose robe is stolen. Another related tale is the Chinese myth of the Cowherd and Weaver Girl, in which one of seven fairy sisters is taken as a wife by a cowherd who hid the seven sisters’ robes; she becomes his wife because he sees her naked, and not so much due to his taking her robe. One notably similar Japanese story, “The crane wife”, is about a man who marries a woman who is in fact a crane disguised as a human. To make money the crane-woman plucks her own feathers to weave silk brocade which the man sells, but she become increasingly ill as she does so. When the man discovers his wife’s true identity and the nature of her illness, she leaves him. Many Chinese myths deal with natural disasters, especially floods. Others deal with heavenly bodies such as the sun and moon. Animals, including dragons, pigs, and monkeys, are also important figures in Chinese mythology. Reverence for ancestors is another common theme in Chinese mythology. Immortality, which actually means long life – is viewed as a sign of the gods’ favor, and for many centuries, the Chinese have sought the secret of long life and immortality. In the past, Taoists believed that magic potions could be created that bestowed eternal life on people who drank them and that beings known as hsien gained immortality in this way. Shortly before A . D . 100, Buddhism arrived in China from India and added another important influence to Chinese culture and mythology. Buddhism arrived in China between 50 B . C . and A . 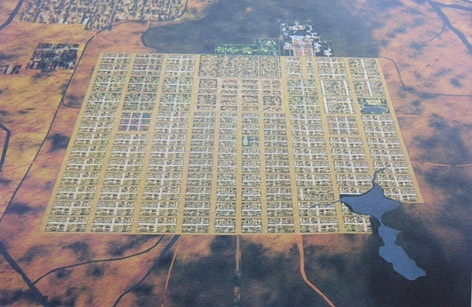 D . 50, several hundred years after the rise of Confucianism and Taoism. It appealed very much to Chinese peasants, who suffered great hardship and poverty Chinese Buddhism became much more elaborate than Indian Buddhism, incorporating many Taoist and ancient Chinese gods. Among the most popular Chinese Buddhist deities are Emituofo, ruler of the Western Paradise, and Kuanyin, the goddess of mercy and the many Tennin, heavenly fairies. An ancient kith, the Swan Maids are legend throughout much of the world, inhabiting much of Europe (especially Germany and Russia), Java, Indonesia and even Australia. Spread across the range of their blood animal, they have strong reputations for beauty, elegance, and powers of divination. Sought in times of legend for their powers, much like the Selkie, their feather coats were sometimes held to ransom, in exchange for marriage or other favours, for just like the Selkie, the Swan Maids are skinchangers. The black swan maids of Australian aboriginal myth were said to have lost their white feathers in a battle with eagles, and stood naked until the ravens took pity on them, giving them the black feathers from their own backs). Sensual and seductive, this kith is strongly matriarchal, and the powers of the blood and feathers are never present in the male line. Love is known of course, but the most extreme regard males of any species as little better than breeding partners. Sadly, their mistreatment in the times of legend has done little to ease this attitude, and the Swan Women (the grumps of this kith) can be vengeful indeed to those who offend them. Just like real swans, they may be pictures of grace and beauty but they can be exceedingly temperamental or spiteful. Other kiths have learned to remain alert. As skinchangers, the Swan Maids must physically put aside her feather coat in order to take human shape, and this coat has a mortal seeming itself, also containing her very fae essence and Glamour. If lost, stolen or destroyed it proves a terrible tragedy. A Swan Maid can use no magics if it is lost or stolen until it is recovered, and if destroyed her fae nature dies also. Small wonder that they were often held to ransom by greedy mortals who stole their coats. The feathers themselves are surprisingly resilient, and may only be destroyed by cold iron or fire. In fact, cold iron does no damage to the fae aspect of the Swan Maid unless it damages the feather coat, although it can still cause real physical damage to the mortal body. When a Swan Maid approaches death, her feather coat (and the Glamour it contains) are passed on to another female of Swan Maid blood, with favour being shown to close kinain. The new Swan Maid quickly learns the craft of skinshifting and passing on her Glamour to a skin of her own choosing. Very rarely a swan descendant may learn to remove the feather coat and take human form, and such wild sisters are greeted with much joy for their rarity and the continuity of the Swan Maid lineage. The Original Valkyries The Valkyrie is, in the oldest strata of belief, a corpse goddess, represented by the carrion-eating raven. The name in Old Norse, valkyrja, means literally, “chooser of the slain.” The Valkyrie is related to the Celtic warrior-goddess, the Morrigan, who likewise may assume the form of the raven. [By the third to eleventh centuries]…this later time, the Valkyries, as demigoddesses of death, had their legend conflated with the folklore motif of the swan maiden (young girls who are able to take on the form of a swan, sometimes as the result of a curse). If one could capture and hold a swan maiden, or her feathered cloak, one could extract a wish from her. This is why valkyries were sometimes known as swan maidens or wish maidens. Forthwith they rushed to Freyja’s shining halls. White Feather on His Head (Mąšųskakerega) is an unusual spirit who has come to earth on more than one occasion to help people in distress. His name, “Wears White Feather on His Head,” is what the spirits of the Upper World call him; those of the Lower World call him, “Wears Sparrows for a Coat.” They called him this on account of his very peculiar wrap, a coat made entirely of living sparrows. Whenever he took his coat off and began to shake it, the sparrows would birst into boisterous song. On his head he wore at least one pure white feather, and as part of his headdress, he wore a living loon. The white feathers were symbolic of the fact that he is chief of the white cranes.